Author and intellect Brewster Chamberlin invites you along on his personal journey through the culturally rich landscapes of Greece and France. From the author of The Time in Tavel: An Informal Illustrated Memoir of a Sojourn in Provence; Paris Now and Then: Memoirs, Opinions, and a Companion to the City of Light for the Literate Traveler; and Mediterranean Sketches. Fictions, Memories and Metafictions. "Illuminating!" says social commentator and art critic Hollis George. Brewster Chamberlin and his wife Lynn-Marie like to travel. And they often share those journeys with friends by way of detailed letters or in lectures to rapt audiences. 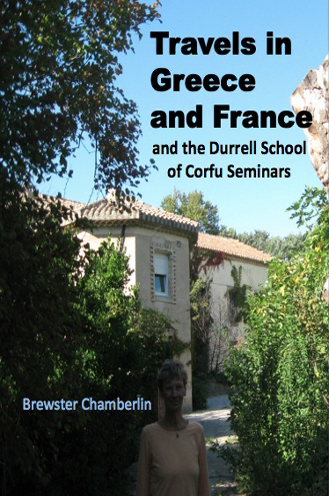 Travels in Greece and France and the Durrell School of Corfu Seminars began in that way. However, these letters and lectures form the basis of the first entry in Absolutely Amazing eBooks new Travel and Talk Series. Presented as a series of eight letters, along with four illuminating lectures, Chamberlin takes the reader on a cultural excursion. Originally prepared for the Durrell Scholl of Corfu Seminars, Travels in Greece and France shares Chamberlin’s observations about the culture, the art, the architecture, the food and wine of these countries where he and his wife Lynn-Marie have traveled extensively. Richly illustrated with photographs of way stops across the Mediterranean countryside – Corfu, Neo Perithia, Kalami, Albania, Avignon, Provence, and Languedoc, among them – you will easily feel like one of the Chamberlins’ traveling companions. From luncheon of the terrace of the Bougainvillea Restaurant to a sumptuous banquet at the Bellissimo to a meal at the Philip Restaurant overlooking the Sorgues River to sharing a take-out order of roasted lamb chops, greens in olive oil, chips (fried potatoes) and bread with a good red wine on the terrace facing the Lycabettus hill in the distance, you will learn about "Greek Food and Its Pleasureable Consumption," "The Food and Drink of Provence and the Languedoc," and "A Couple of Words about Food in Paris." And you will pause to appreciate the Miró sculptures at the Fondation Maeght, examine the artwork in the Luxembourg Garden and L'Orangerie du Senat, visit the new Acropolis Museum, stroll among the hidden treasures in the Lady Holmes garden, and stop to watch the boules players at Saint-Paul-de-Vence. Along the way, he ruminates on "Borders Crossed and Uncrossed," "Some Thoughts about Obsessive Love in Literature and Film," "Some Thoughts on the Western Literary Canon," and "The Writer in Exile." Plus he shares ample reading lists and multiple biographies. 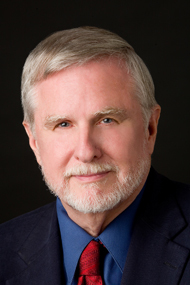 Brewster Chamberlin is a former senior official at the United States Holocaust Memorial Museum in Washington DC. A member of the board of the Durrell School of Corfu, he is the author of Paris Now and Then (2002), Mediterranean Sketches (2005) Lawrence Durrell: a Chronology (2007), and The Time in Tavel: An Informal Illustrated Memoir of a Sojourn in Provence (2010). His collected poems, Situation Reports on the Emotional Equipoise, appeared in 2007. For those who are looking for a personal travelogue that shows the Mediterranean countryside from the viewpoint of a cultural connoisseur, Travels in Greece and France and the Durrell School of Corfu Seminars will be your cup of tea.